The biogas cogeneration plant allows the simultaneous production of electricity (CHP or cogeneration) and heat (hot water or steam). The electricity can be used to power the surrounding equipment or injected into the national grid. 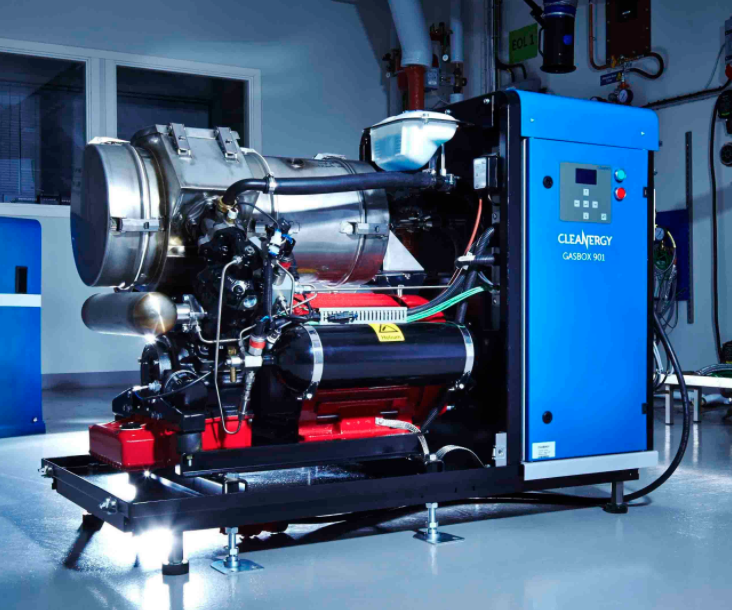 CHP maximises the fuel and converts it into electricity with 35% efficiency and heat with 50%. CHP is well suited for commercial applications at hospitals, nursing homes, laundries, and hotels where hot water demand is high. CHP can be used as well at institutions, such as colleges and schools, prisons, and residential and recreational facilities. Increased energy efficiency – providing useful energy services to facilities with less primary energy input. Economic development value – allowing businesses to be more economically competitive in a global market therefore supporting local employment and economic development. Reduction in emissions that contribute to global warming – increased efficiency of energy use allows facilities to achieve the same levels of output or business activity with lower levels of fossil fuel combustion and reduced emissions of carbon dioxide. Reduced emissions of criteria air pollutants – CHP systems can reduce air emissions of carbon monoxide (CO), nitrogen oxides (NOx), and Sulfur dioxide (SO2). Increased reliability and grid support for the utility system and customers. Resource adequacy – reduced need for regional power plant and transmission and distribution infrastructure construction. By 2030, the French Energy Transition Law sets a target of 10% of gas consumption and 40% of electricity from renewable energies. Since December 13, 2016, a decree fixes the new rules for the electricity feed-in tariffs generated from methanisation, which has helped reassure potential investors. It is adopted more to the current economic realities. For installations with a maximum electrical power of 80 kW or less, the resale tariff is 0.175 € / kWh. For installations with an electrical power between 80 kW and 500 kW, the tariff is 155 € / Mwh. Farmers are also entitled to a premium of 0.05 € / kWh if they transform more than 60% of the residues of their activity. Starting at € 220,000, a farmer can now install a 22 kW power station on his farm. To achieve the objectives of the Energy Transition Law, the Government also decided in February 2016 to extend the duration of electricity purchase contracts produced by methanisation from 15 to 20 years. How does a biogas cogeneration plant work? 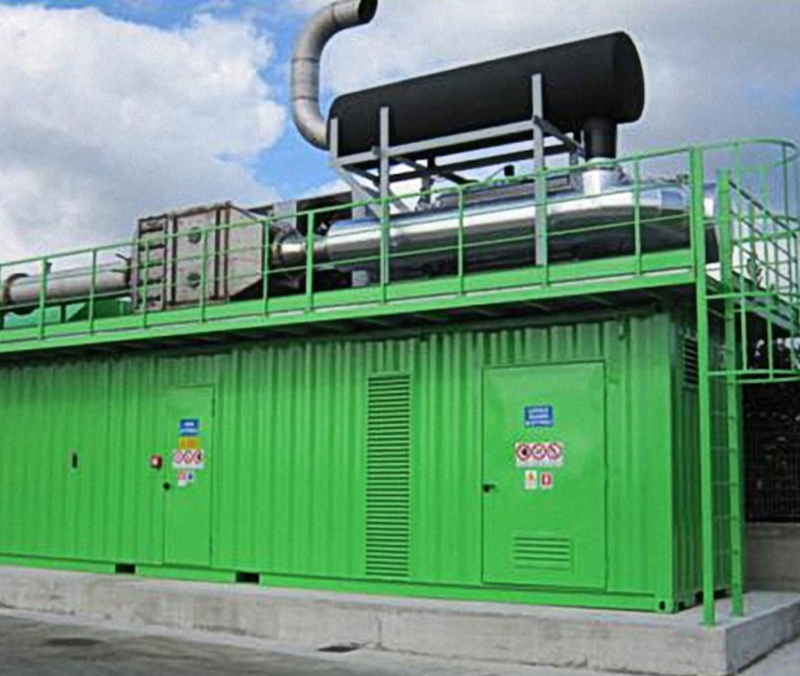 The biogas cogeneration plant is composed of 3 main parts: biogas treatment, the engine and the control unit. The cogeneration specialist Cédric Colferai illustrates how it operates step by step, in a video published by Biogas Channel. Stirling engine: available in a power range between a few tens of kW to about 4 MW. Mainly small installations with domestic applications. The electrical efficiency is between 35 and 45%. Combustion-turbine: the turbines are available in a power range from a few tens of kW to 100 MW, and the electrical efficiency varies from 25 to 40%. The largest portion of thermal energy is produced in the exhaust at 500 ° C which can be injected directly into a recovery boiler or an industrial furnace. Steam turbine: this equipment is used at industrial applications to produce large amounts of steam and generate electricity with the surplus to regulate its consumption by energy conversion. This is the technology used in power plants or waste recovery sites using incineration. Combined cycle: successive use of a gas turbine and then a steam turbine. Two alternators are used to produce electricity. The high electrical efficiency results in a low thermal efficiency. Trigeneration : extension of cogeneration with production of a third energy, usually cold, which can be produced mechanically or indirectly with an absorption group fed by steam or superheated water. Fuel cells: growing technology with better performance and less pollution. The main difficulties of this technology remain related to the cost of manufacturing batteries, the reliability of equipment and the maintenance of systems. To know more about CHP technologies and performance characteristics, read the Catalog of CHP Technologies published by the United States Environmental Protection Agency (EPA). A biogas cogeneration system comprises of two parts: one for the fermentation and production of biogas, which includes one or more fermenters, and the other to transform biogas into energy, which is the actual cogeneration system. Fermenters have a key role in the initial phase of biogas production, but energy performance and the overall financial performance of the factory depend upon the technological quality and solution of the cogeneration group. The ECOMAX® Biogas and ECOMAX® Landfill Lines have been designed to enhance biogas energy. The biogas siphoned into the Linea ECOMAX® modules allow production of electrical and thermal energy. MWM stands for highly-efficient and eco-friendly combined heat and power (CHP) plants for decentralized electric power, and has more than 140 years of experience in the development and optimization of gas engines and gensets for natural gas, biogas and other special gases. The advantage of MWM combined heat and power over the separate production of electrical power and heat lies in the significantly higher utilization of the primary energy. 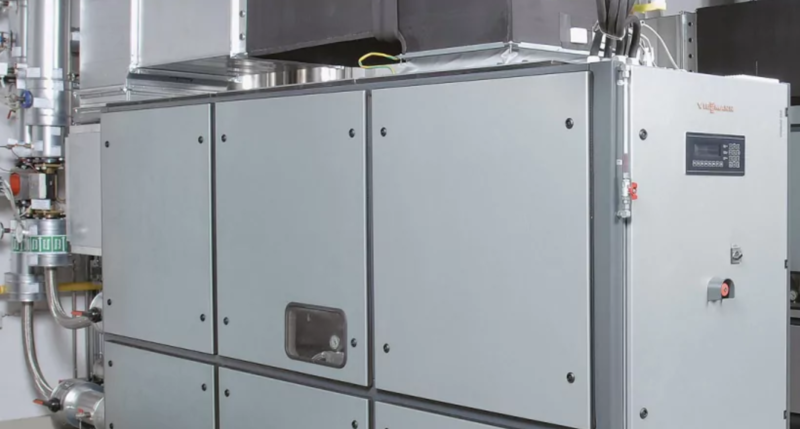 Utilising a CHP unit in a commercial setting is extremely environmentally friendly. With more than 25 years’ experience in this product area, Viessmann offers efficient gas operated systems for combined heat and power generation. 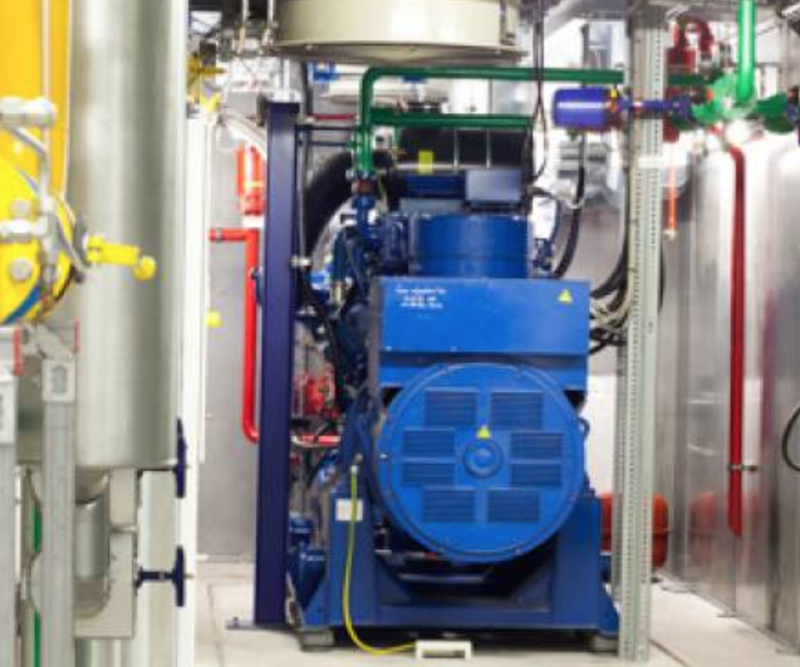 The types of combined heat and power boilers the company offers: stirling engine CHP boilers (use an external combustion engine) and internal engine CHP boilers (designed to be used for larger-scale applications such as hospitals, it use fuel to drive a turbine connected to an electricity generator). Veolia has over 30 years experience in packaged Combined Heat and Power and is firmly established as a leading manager of today’s CHP units. Veolia provides the complete CHP solution that serves commercial businesses, the public sector and communities – working together to increase the energy security, whilst reducing your environmental impact and energy costs. 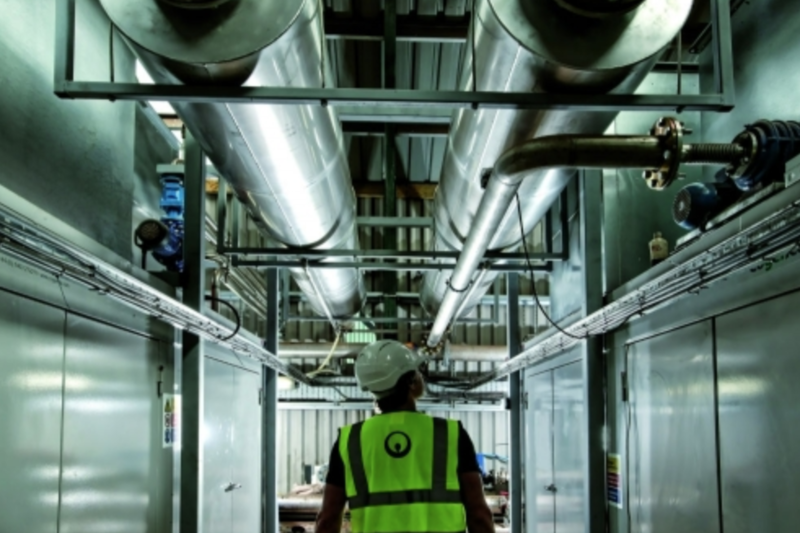 Veolia currently operates over 600 CHP for customers and has been trusted by major organisations for over 20 years, to provide dependable reductions in energy costs. 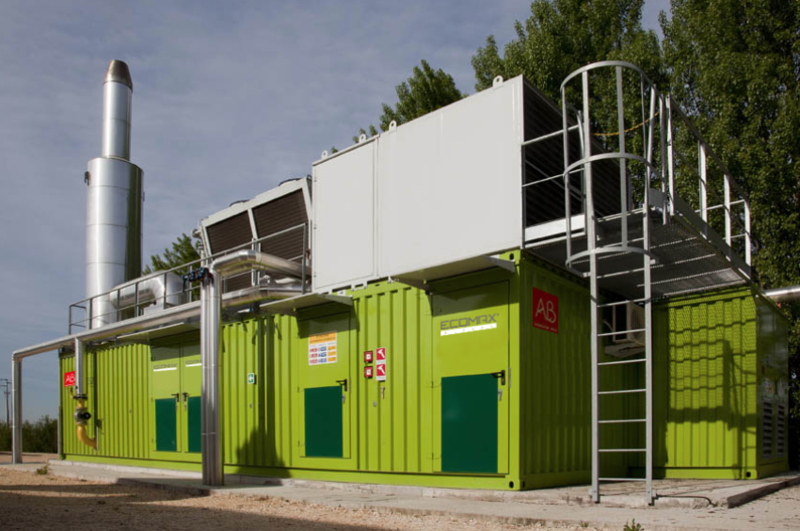 As part of Veolia, Europe’s leading resource management group, the company offers the latest high efficiency CHP technology. 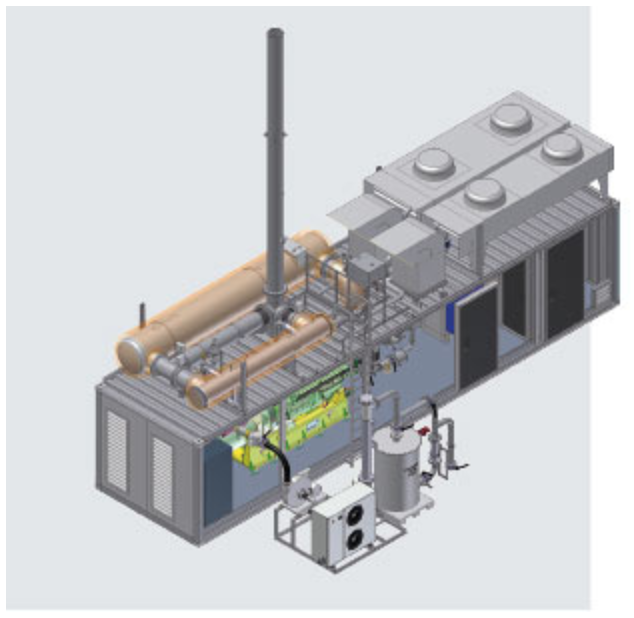 MTM ENERGIA customizes, manufactures and installs “turnkey” cogeneration plants with all the necessary components ready for testing. Systems do not consist of standard modules; everything is sized and designed to meet the specific needs of each client. Micro CHP plants supplied and installed by MTM Energia are small, lightweight and reliable. It is specially designed to improve the energy impact of small civil, industrial or commercial realities with significant energy consumption such as hotels, swimming pools, retirement homes, sports centers, small industries, etc. The plant is delivered complete with everything and is placed in a special area made available by the customer. At this point the plant is ready to be connected to the electrical grid, to the fuel supply duct and to hot water connections. Each system is completely independent. SYNGASMART® is a line of made in Italy micro-CHP systems, engineered and developed by RESET, for woody biomass Combined Heat and Power generation. These systems can be defined as thermoelectric machines based upon the pyro-gasification process, which can be briefly described as the use of high temperatures in an low-oxygen environment to covert woody feedstock (for example woodchips) into a synthesis gas called syngas. This fuel is composed predominantly of flammable gases such as hydrogen (H2), carbon monoxide (CO) and methane (CH4): through gasification, it is possible to convert nearly any dry organic matter into a clean burning fuel that can replace fossil fuel in most use situations. Depending on the needs, the plants develop 30 kW, 49 kW, 50 kW, 60 kW, 100 kW, 120 kW. The Cleanergy GasBox™ generates electricity and heat from biogas. The heart of the technology is the Stirling engine, first designed in the early nineteenth century. Now, with the advantage of modern manufacturing capabilities, this energy-producing technology is efficient, viable and proven. 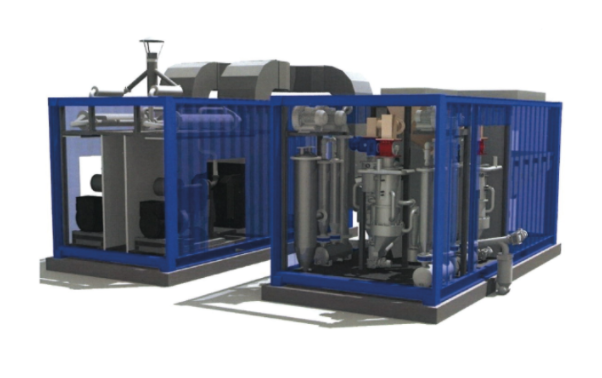 The GasBox™ requires minimal-to-no gas cleaning which allows for small and mid-size wastewater treatment plants to achieve the power-generating benefits of biogas utilization. The GasBox™ can also run on biogas with a methane concentration as low as 18%, which alleviates the need at larger plants to burn off this biogas with a natural gas supplement. PlanET biogas plants demonstrably offer optimum gas yields, which will allow your CHP to run at full capacity, especially if the client uses a gas CHP. Over 8,000 operating hours per year are the rule rather than the exception with PlanET. The company will gladly advise its clients choosing the optimal gas CHP for the project, in particularly if the client is planning to include a heating concept due to the high thermal efficiency of gas CHP units. The client will always benefit from PlanET unique availability of spare parts and materials procurement at a local level. Totally installed electrical power of PlanET plants: 141.145 kWel. CO2 reduction by installed PlanET biogas plants: 590.144.182 kg CO2/a. 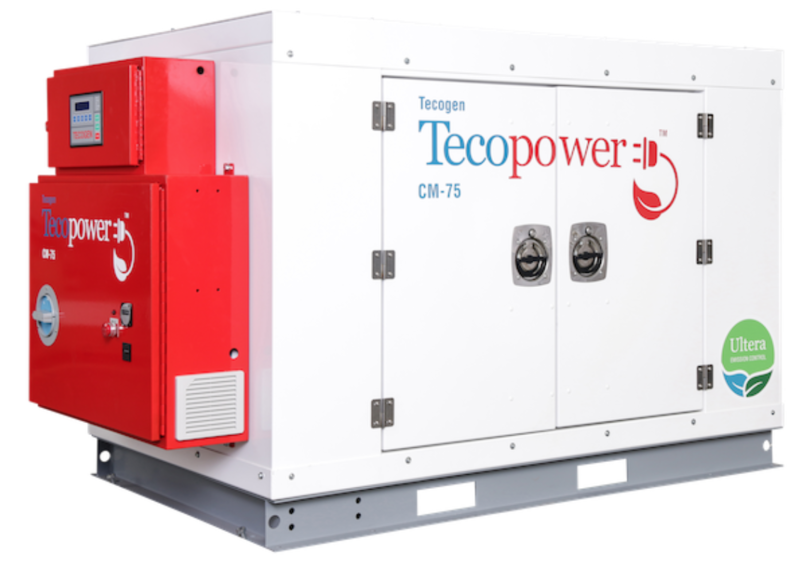 Our Tecopower 60 Low Emissions, Tecopower 60 Ultra-Low Emissions, Tecopower 75 Low Emissions and Tecopower 75 Ultra-Low Emissions Cogeneration Modules offer among the highest overall efficiencies of any CHP systems, and have the most proven high reliability and serviceability in their class. Since their introduction in 1983, Tecogen systems have benefited from continuous technical improvements by Tecogen engineers. Today, they feature the latest advances in engine, controls, heat recovery, and Ultera low-emissions technology. ETW biogas CHP stations are designed, built and produced based on many years of experience in the areas of landfill and mine gas utilisation and followed up by support offered by experienced service technicians. 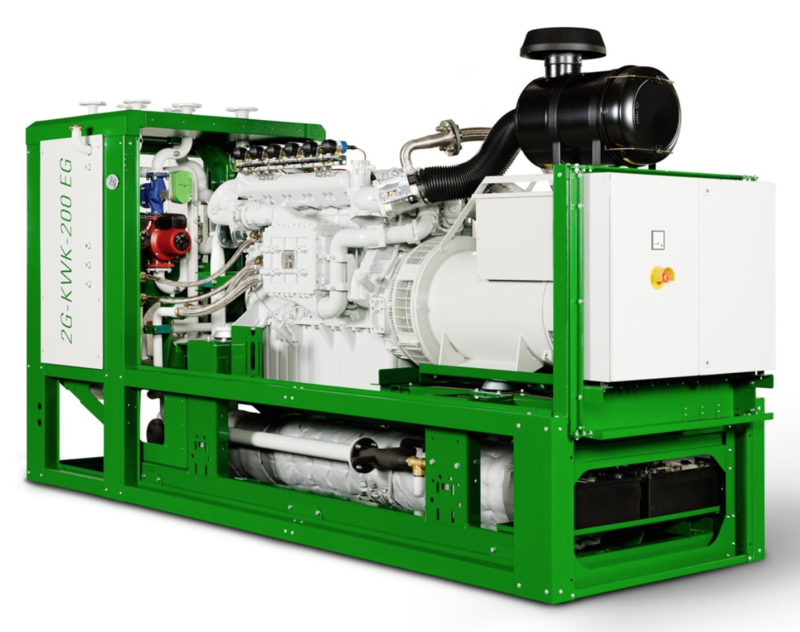 The gas motor and/or motor/generator system as primary components are optimally integrated into a complex plant concept which, when combined with intelligent controls, guarantees optimum operation coordinated to the special requirements of a biogas plant. ETW offers this overall solution in the form of an entire gas processing plant featuring gas cooling/drying, gas cleaning and gas compressors as the primary components as well as upstream flare stations for emergency and permanent operation. Furthermore, we also offer Interface Management and supply the requisite components for heating and electrical connections (transformer station). 2G Biogas Cogeneration systems are 40% more efficient compared to ultra low efficient micro turbines. 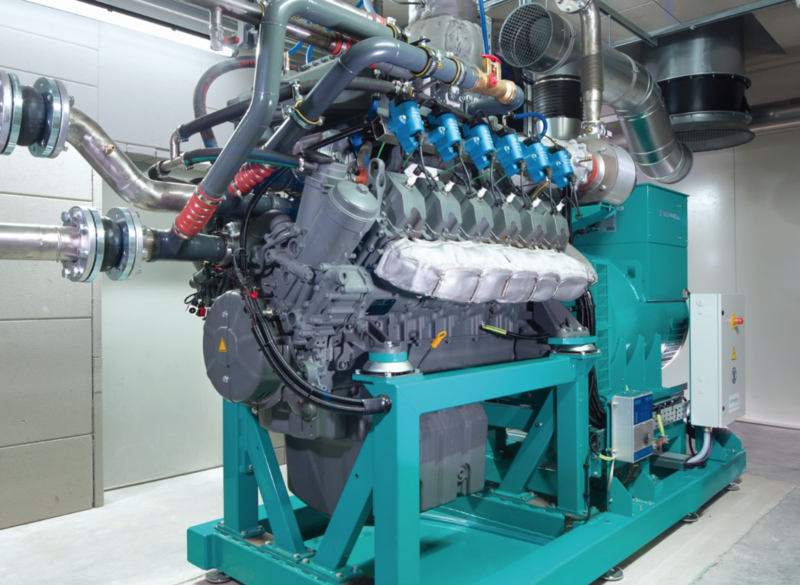 This game-changing CHP plant features specially calibrated biogas engines, components and materials that are designed to be highly reliable, powerful and efficient. EVO fully-customisable configurations range between 50kWe to 3,000 kWe and larger sizes available on request. To find more companies and products in biogas CHP, visit our Products section. Add your company for free in our catalog! BiogasWorld is growing and we are inviting you to grow with us. BiogasWorld is accepting company listings for our 2018 Biogas Industry Catalog that will be available to our clients in January 2018. Add your company for free by DECEMBER 15, 2017 and receive messages from your potential clients via our platform.